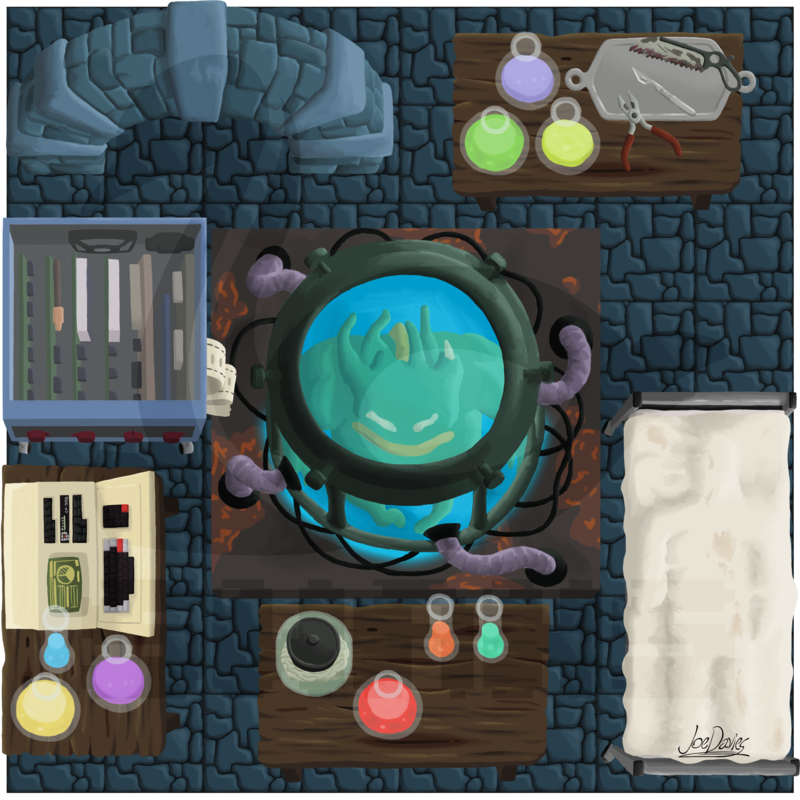 The fifth “world” of the game; The Laboratory. You may have noticed I skipped over the fourth “world” in the game; The Graveyard. And the reason for that is because that world had been entirely designed by the Previous Illustrator. And thus I have no right to include it in my portfolio here. This isn’t a screenshot of the game, but rather a squareshot made by me to demonstrate most of the assets I needed to make for this world. This world didn’t require that many assets to draw, but it did require I draw certain assets in different variations. The Containment Pod in the centre for instance has extra variations including parasitic organisms or a evil-looking fetus inside, and the colour of the liquid being green or pink.